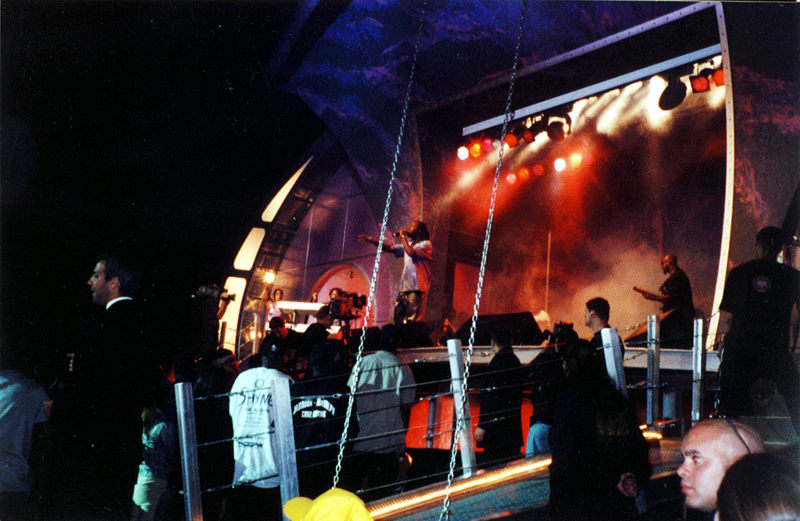 Hip Hop Concert Set Design | designscape, inc. 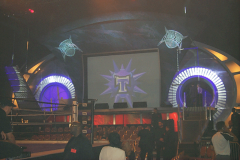 This event combined a nationally ranked heavyweight boxing tournament series with a unique Hip Hop concert featuring top artists and hosts. 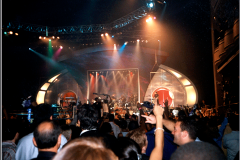 The concert performances alternated with tournament matches—and the show locations alternated monthly between New York City (Hammerstein Ballroom) and Las Vegas (The Joint at the Hard Rock Hotel) over two years. 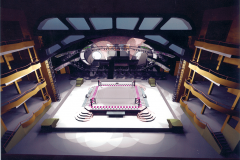 The heavyweight boxing tournament programs not only alternated between New York and Las Vegas, but Thunderbox and Heavyweight Explosion also had additional tour venues that each traveled with their own production sets and equipment packages. 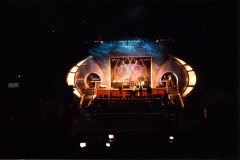 Designscape provided the complete turnkey production design and staging for two, season-long programs that comprised multiple platforms, custom entrances, projection screens, and pyrotechnics. 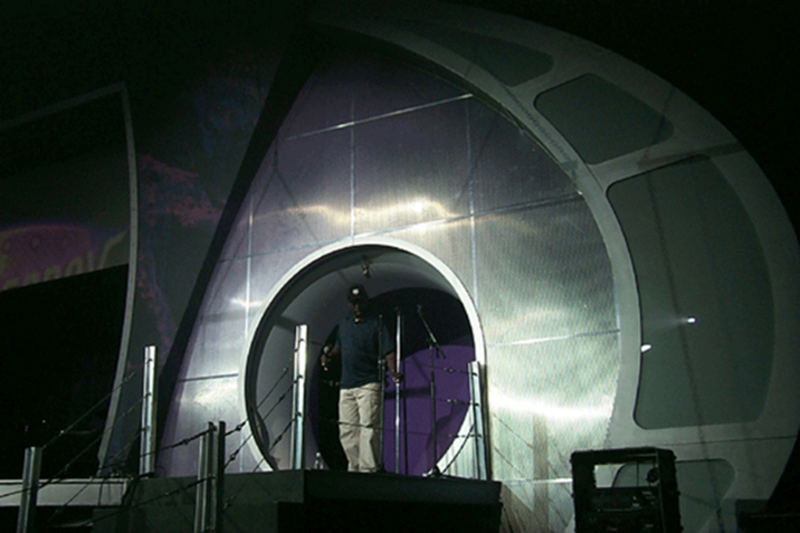 • The highly dramatic set featured an enormous double compound curved scythe proscenium to use as a projection surface, along with a flush-set automated 15’ x 20’ front projection screen that scrolled up to reveal an insert performance stage. • The stage had moving performance platforms so multiple acts could preset their kits for quick roll-outs and re-sets. 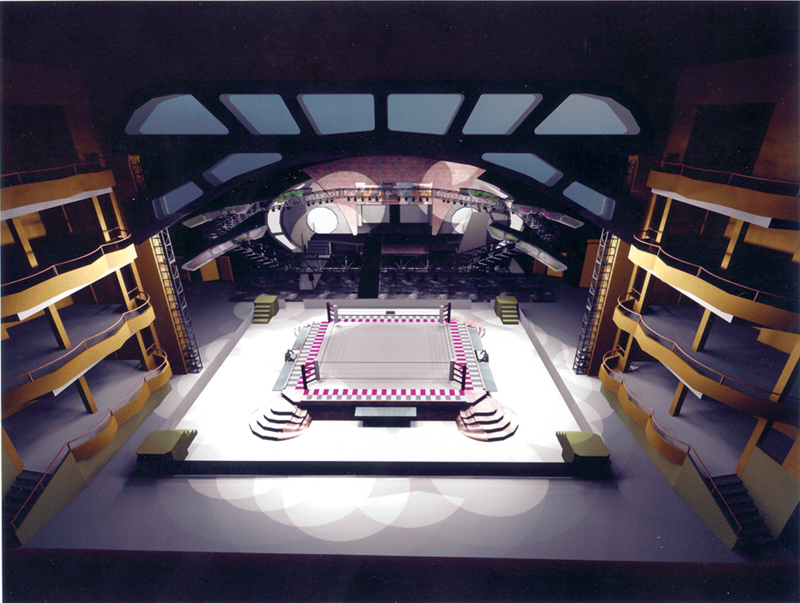 Stage left/stage right were eight-foot diameter iris lens entrances that opened to polished aluminum drawbridges lowered by chrome chain hoists; these created gangways for the foxy “managers” and boxers to have grand pyrotechnic entrances as they rode the drawbridges down to ringside. • Cameramen and round girls worked the ringside on custom aluminum side ramps and rock formations that surrounded the ring and lit up with internal lighting. 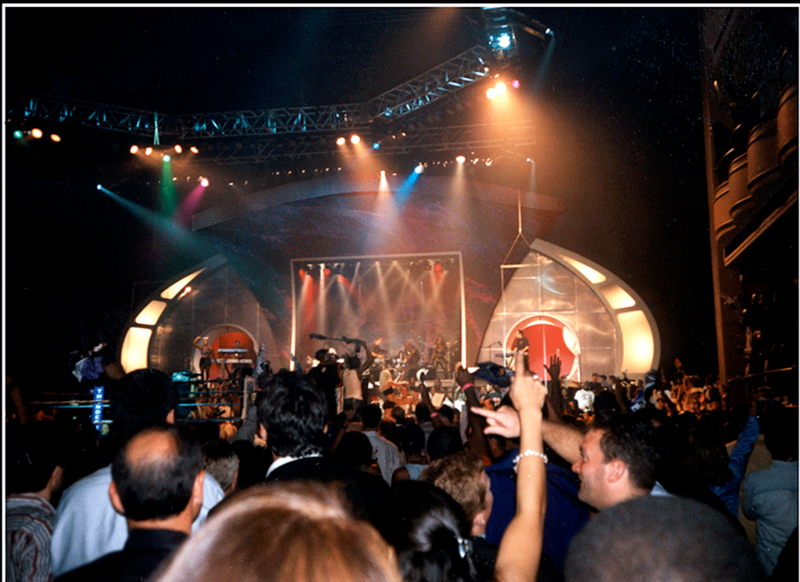 The boxing and concert performances were shot for television and broadcast on HBO & ESPN. Electronic Arts incorporated our 3D CAD production designs into their “Knockout Kings” boxing games as player-selectable ThunderBox venue choices.